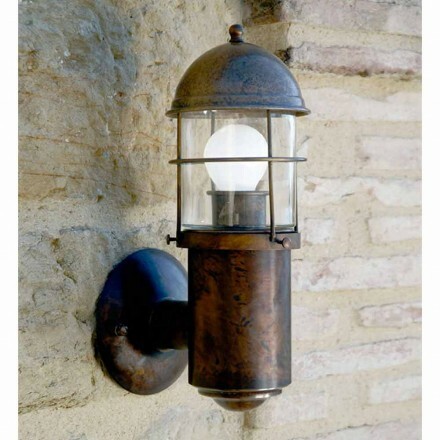 In this section of our site we would like to introduce you the brass lamps. A perfect choice for those who love vintage design and the 50s atmosphere. But not only, the bold graphic features and the spherical elements of the brass lamps are also perfect for an industrial and minimal style. Furthermore, in addition to the classic style lamps, there are models with modern design are available such as nickel-finish lamps and marine-style models with clear references to the nautical world. 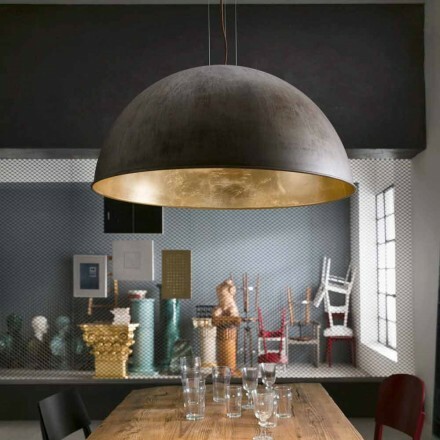 Brass is a very often used material to make designer lighting and chandeliers since it is a copper and zinc alloy which, thanks to its characteristics such as mechanical strength, color, flexibility and malleability, is a perfect material for a craftsmanship. 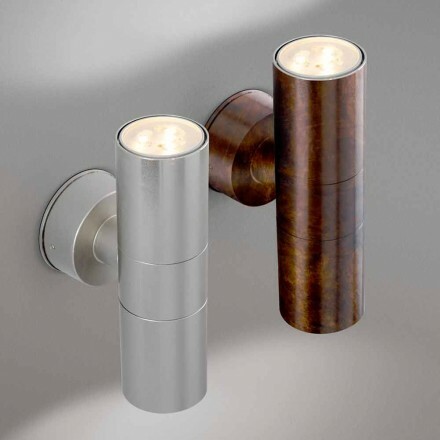 Viadurini offers you the best selection of wall lamps, ceiling lamps, floor lamps and brass table lamps from the best companies such as Il Fanale and Aldo Bernardi. 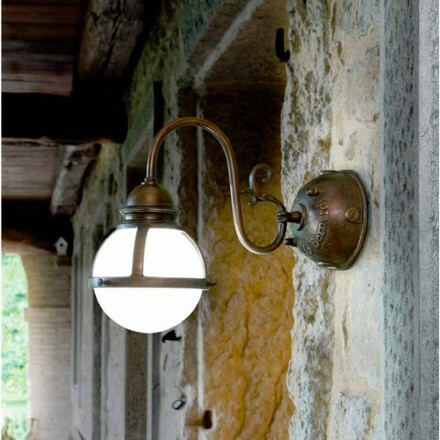 Models of indoor lamps for houses and rooms, garden and outdoor models perfect for public places, arcades, loggias and environments near the sea. 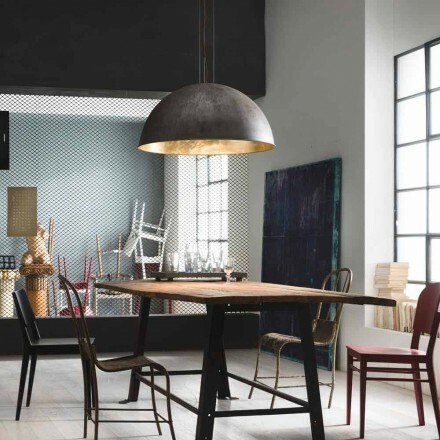 Unique in their kind, the brass lamps are very solid and resistant as well as having an unmistakable design. 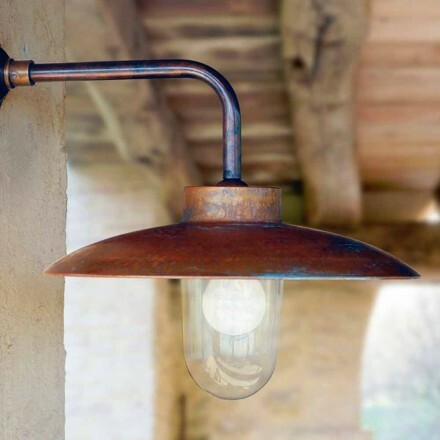 The decorations, often made to embellish the exterior of the lamps, if in brilliant materials such as copper or silver, create a contrast of great visual effect. A tip for cleaning the brass lamps to avoid the opacification over time. The maintenance of the brass normally consists in its polishing and in the removal of dust. For polishing, it will be sufficient to gently wipe a soft, dry cloth on the surfaces. To remove the dirt, just use a soft cloth dipped in soapy to pass over the brass. Remember that for any questions you are at your complete disposal. It will be a pleasure for us to help you choose the brass lamp of your dreams.